Is Your Ride Off-Road Ready? There is something about the feel of driving a pick-up truck or SUV. 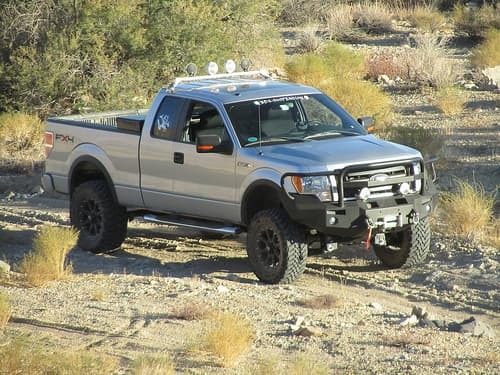 With four wheel-drive, a roll bar, and a brush guard you think that your truck is ready willing and able to tackle the terrain, no matter what it is. Whether you reside in the country, or in the city, there is something satisfying about being able to leave the pavement and drive down by the creek or across the desert. Now you ain’t trying to climb Mt. Everest, nor dip down into the pits of Hades, but are you ready for the worst that off-road driving has to offer? Chances are you just might be missing something that is very important when it comes to getting from point a to point b, as the crow flies. The fact is that you can have all of the KC lights and chrome that your off-road vehicle can carry, but if you don’t have sufficient fender and ground clearance then you’re not ready. Your truck desperately needs to carry larger, more aggressive tires and that requires more fender clearance. The oversized tires that your truck needs in order to brave the bog and maul the mountain face will require some clearance. Let’s face it, factory sized tires are no match for the great outdoors. This leaves you in a dilemma: You can either modify the body of your vehicle, this involves cutting away sheet metal from your fenders-and leaving your ride cosmetically disadvantaged, to provide enough room for those big skins; or you can use a body lift kit to raise the body up and off the frame. 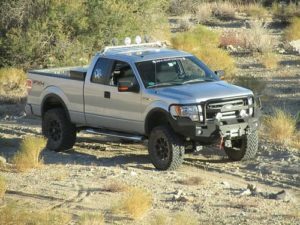 There are certain advantages in choosing to install a body lift kit. Price-body lifts cost significantly less than suspension lifts. Simplicity-body lifts can usually be installed by the vehicle owner in about an afternoon. Versatility-body lifts can be easily interchanged from one height to another, and back again. While fender clearance is necessary for those larger tires, there is no substitute for ground clearance. If you have ever bottomed out on a sand bar, or rock pile, you can testify to the fact that it is no fun. Installing a suspension lift will offer you the ground clearance to avoid those obstacles that would bring a stock vehicle to a stop. The suspension lift also has its advantages. Added stability from stiffer suspension. While suspension lifts seem to be the wiser choice, there are factors to be considered. Suspension lifts are quite expensive and require professional installation. Body lifts are easily installed and cheap. Suspension lifts become part of your vehicle’s suspension. The most basic suspension lift kits include lift blocks and/or reverse shackle kits for the front and rear of 4WD vehicles. Most kits include 4 matching rough terrain shocks and a steering stabilizer kit. Other, more expensive, suspension lift kits include sway bars, radius arm drop brackets, extended radius arms, and axle pivot brackets. Body lift spacers, over time, will occasionally allow the vehicle’s body to crush down on top of them. Body lifts offer no increase in ground clearance. You must decide which route that you will take. Suspension lift, body lift, or both. The combination of a small body lift and a medium sized suspension lift is very popular among off-road enthusiasts and may bear looking in to.